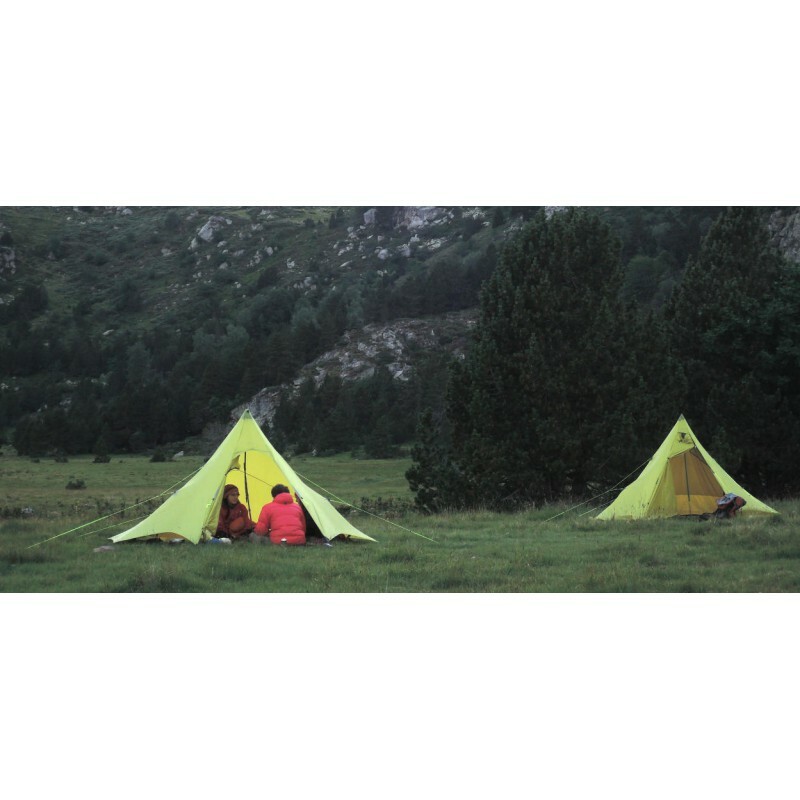 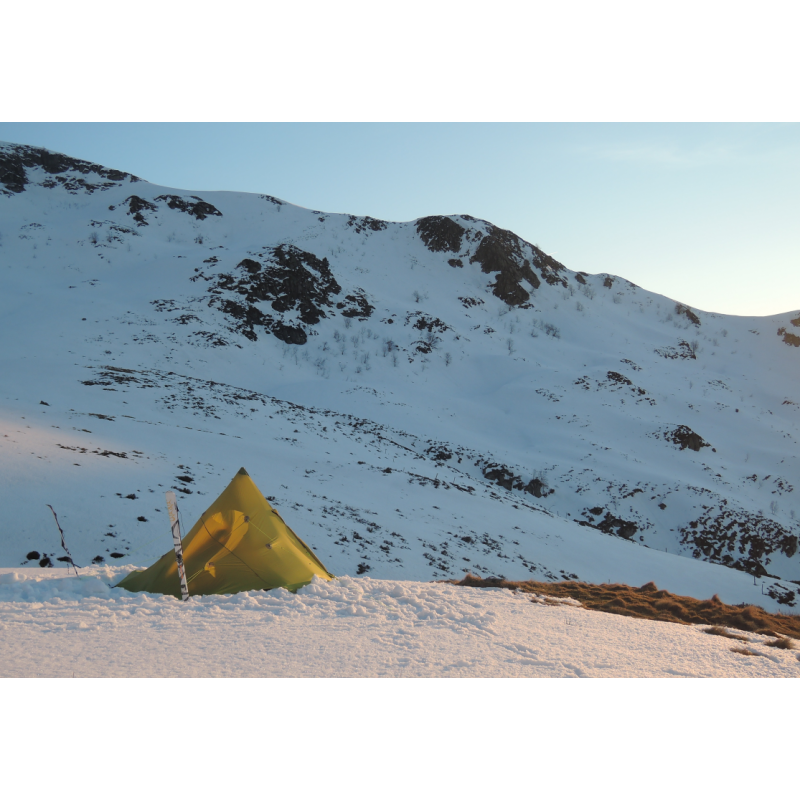 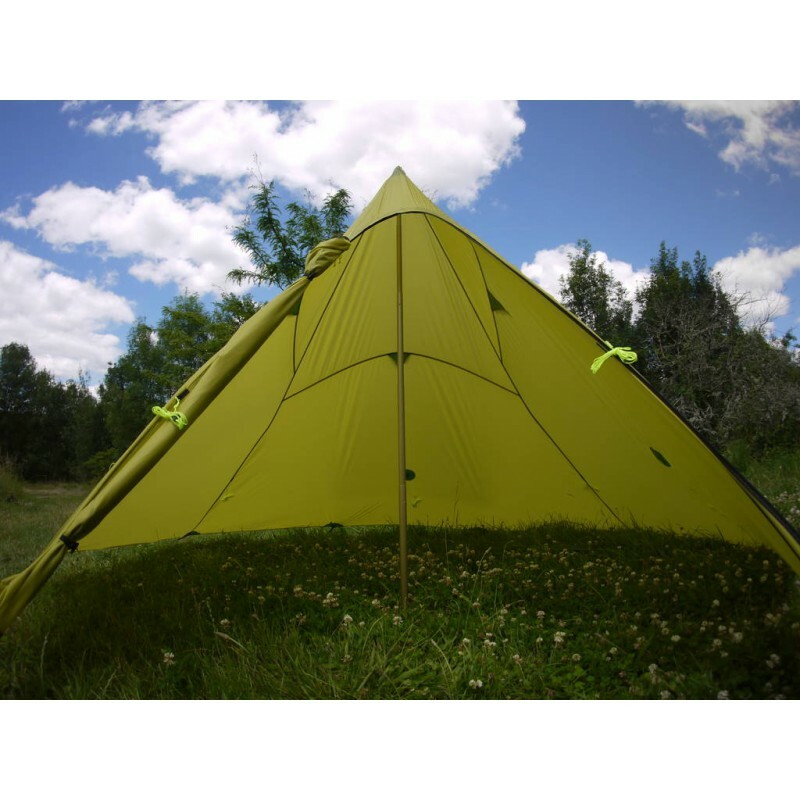 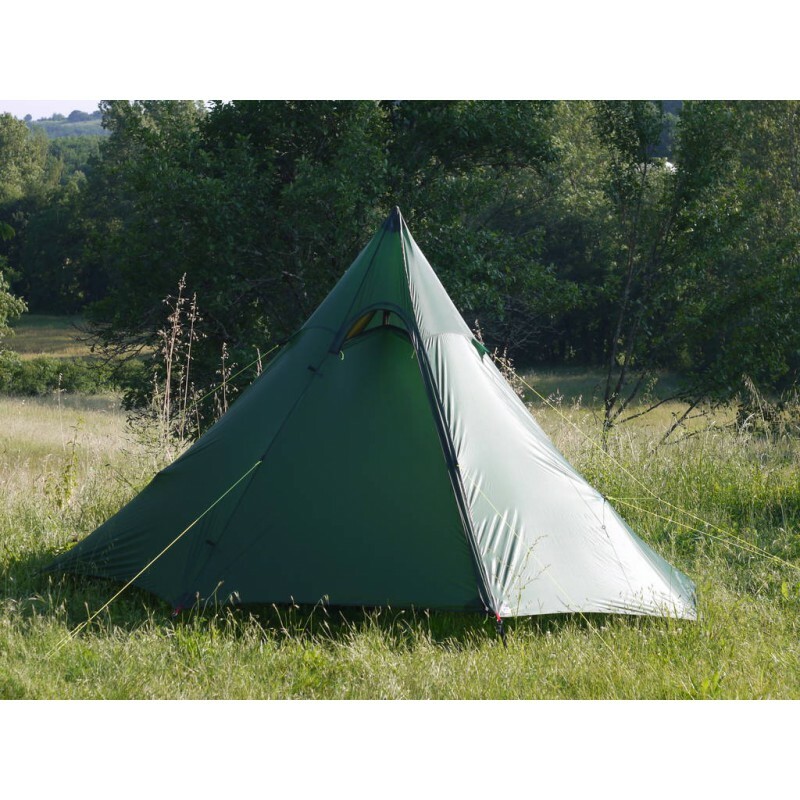 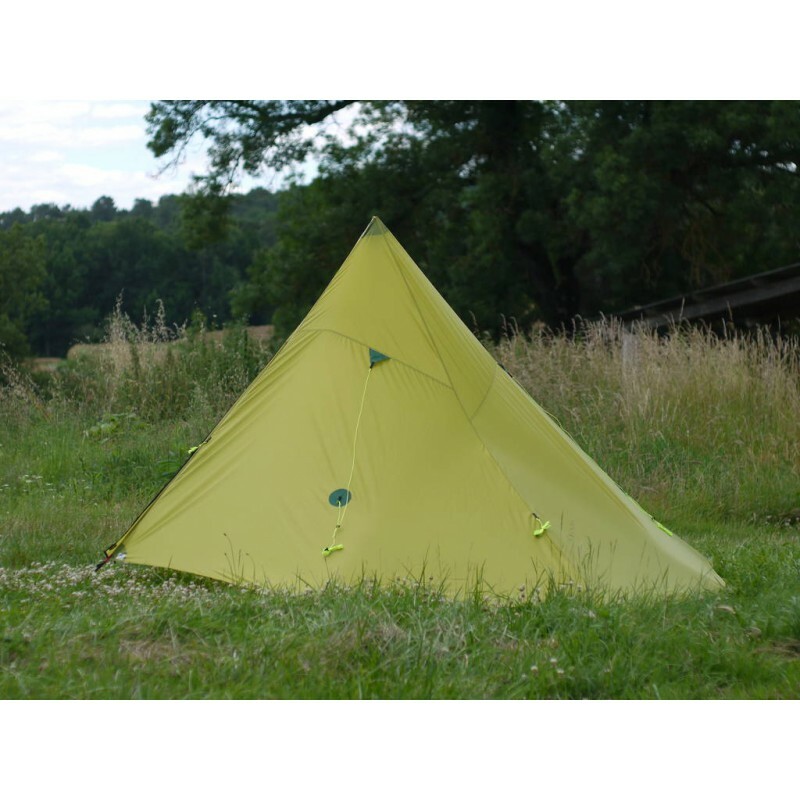 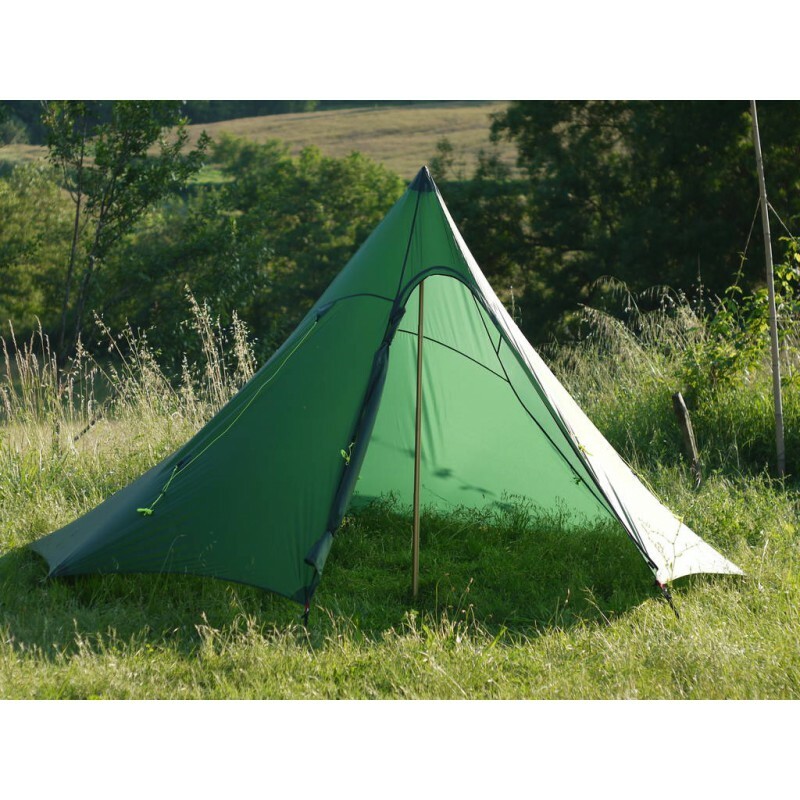 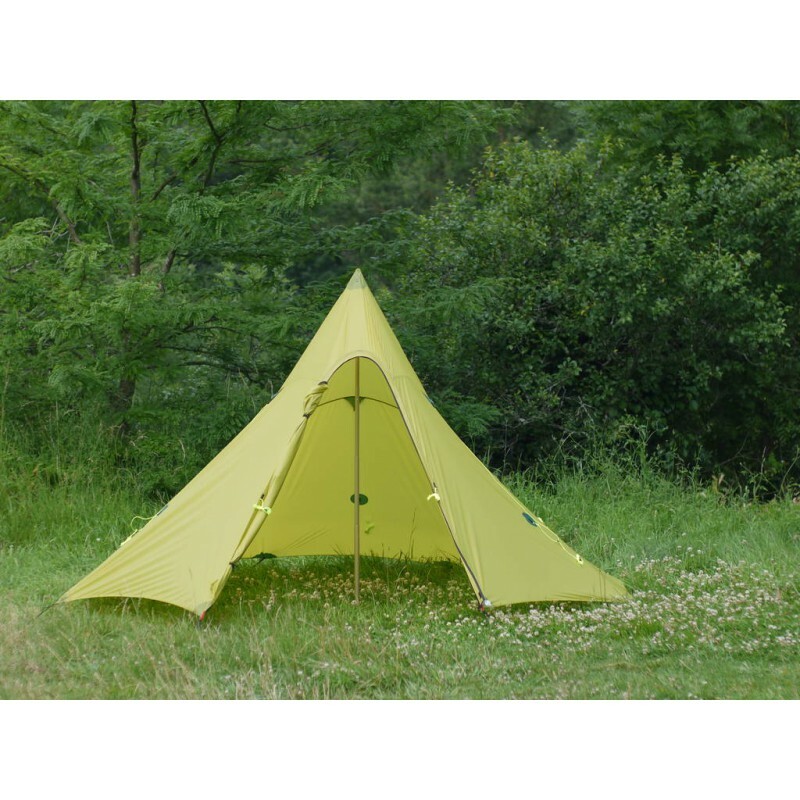 The Tipi Aston XL ST is the version without inner tent (rainfly only) of the Aston XL. 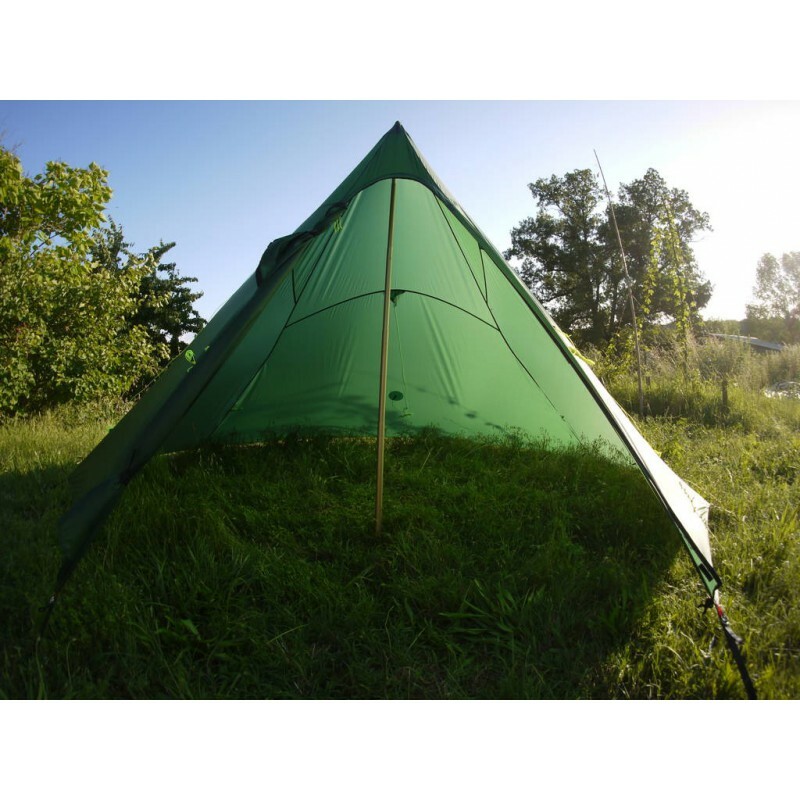 This tipi shelters 3 sleepers and their equipment, or 4 sleepers a little tight. 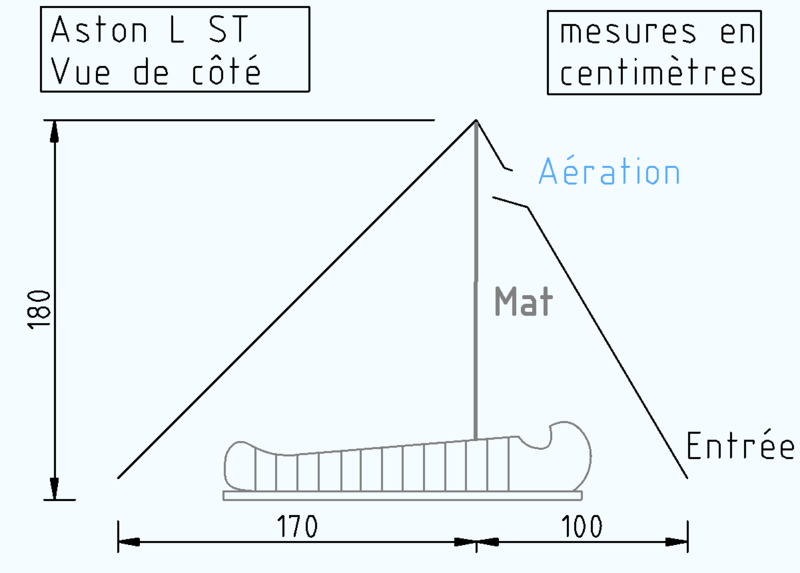 The total height is about 1m80 (depending on the pitch). 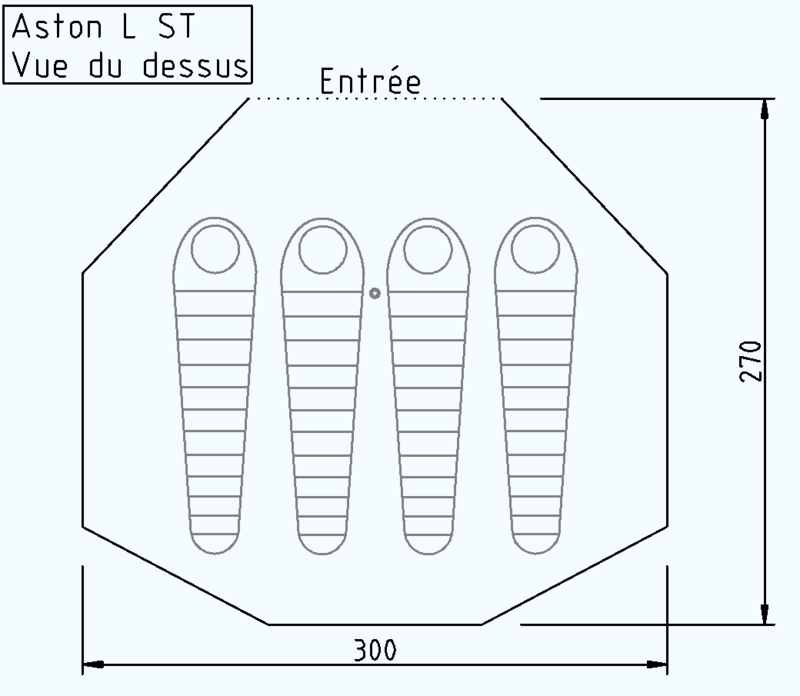 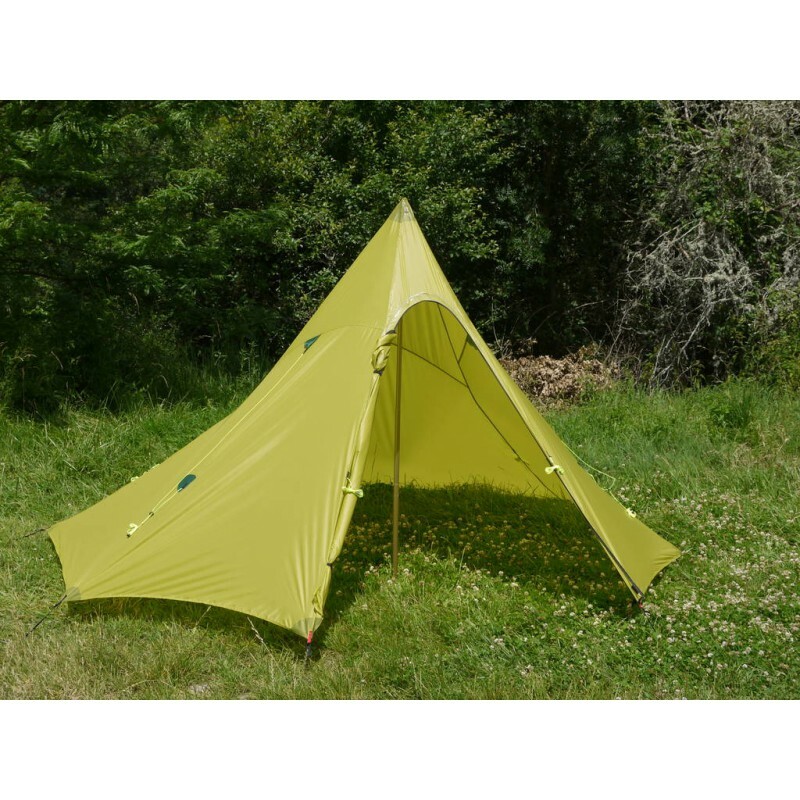 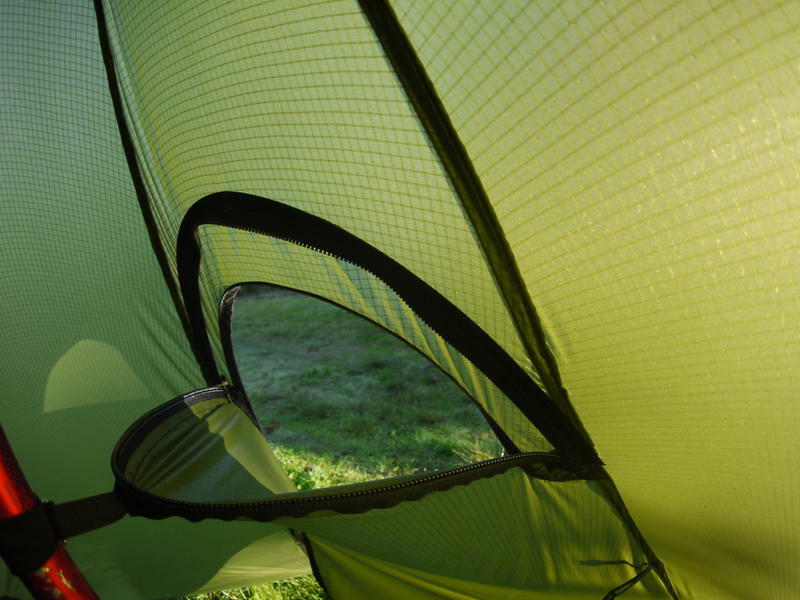 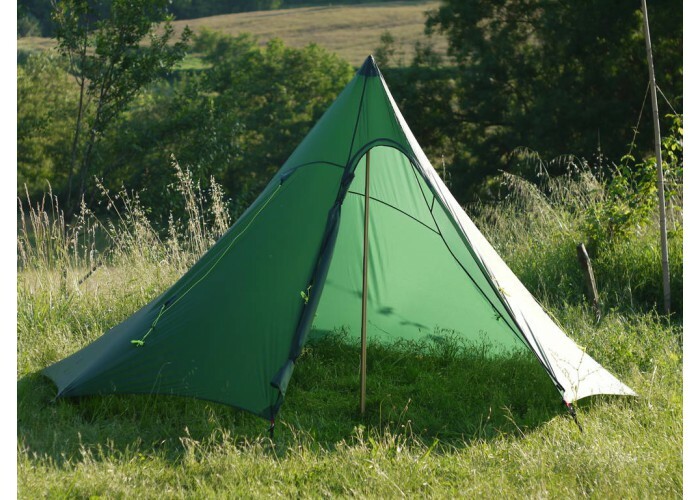 The Aston L ST tipi weighs between 530 and 880g depending on the fabric and attachment options. 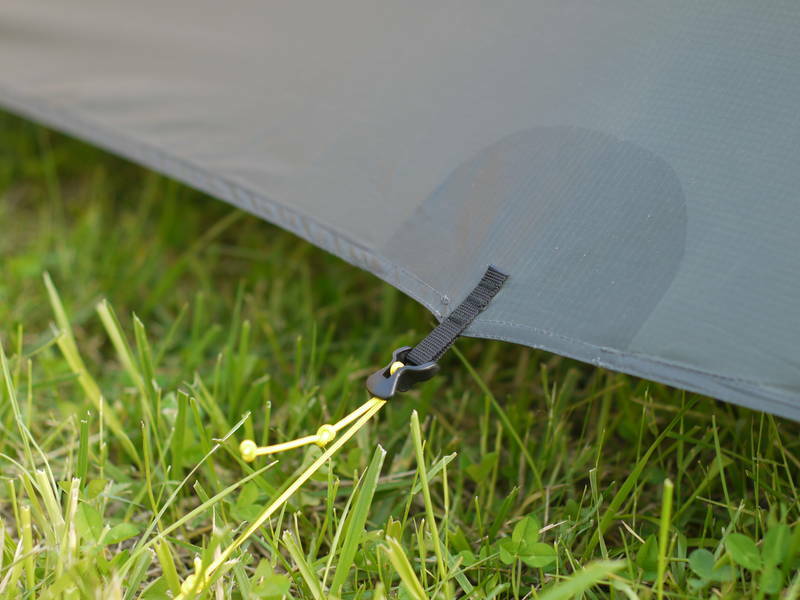 It has 8 anchor points to the ground, as well as 10 guylines attachments, guaranteeing excellent wind resistance. 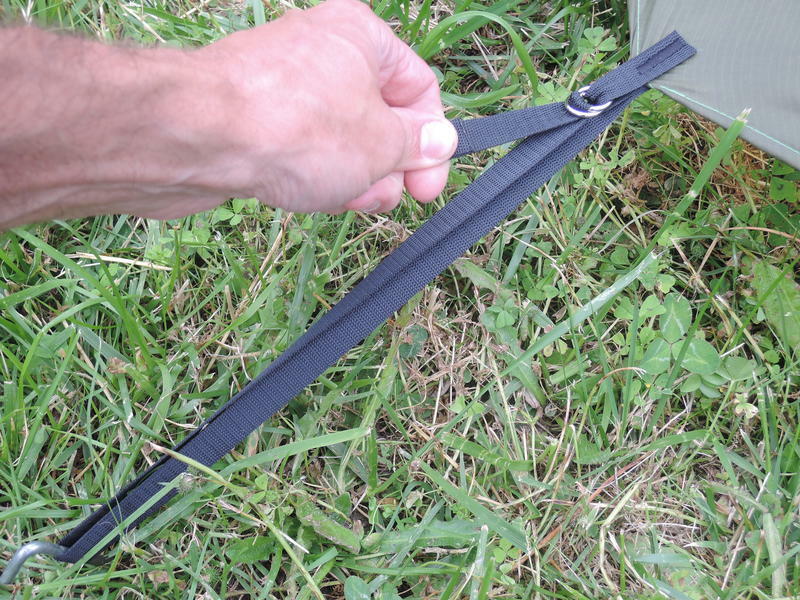 You can use your own walking sticks as pole and thus limit the carried weight. 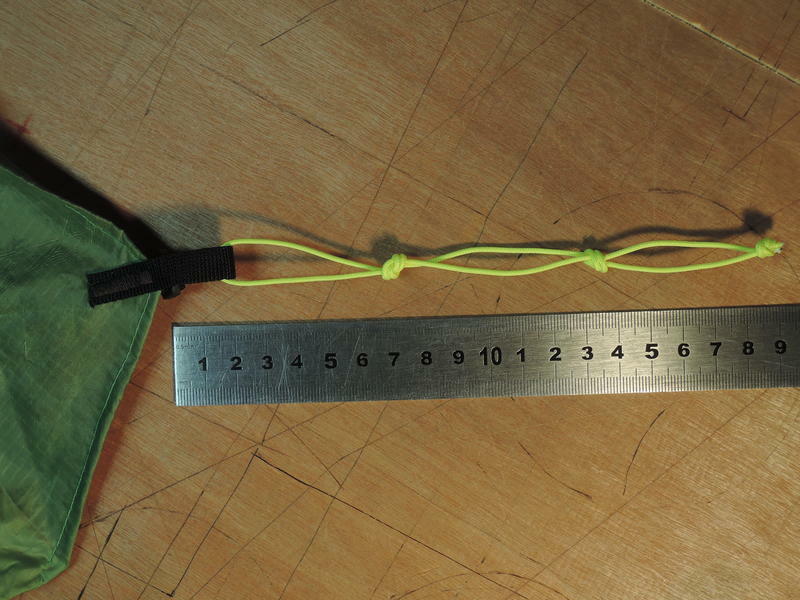 The two sticks can be assembled by strap (included). 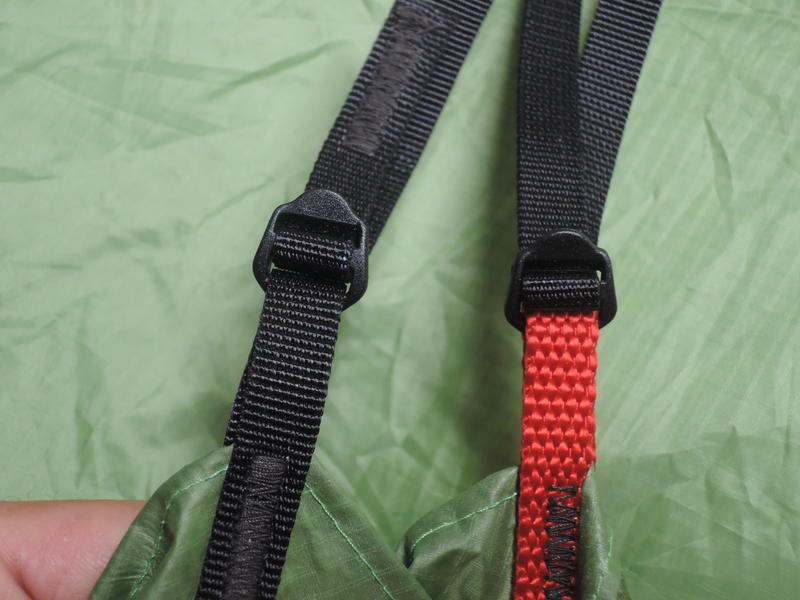 Optional adjustable aluminum pole is available (+310g).